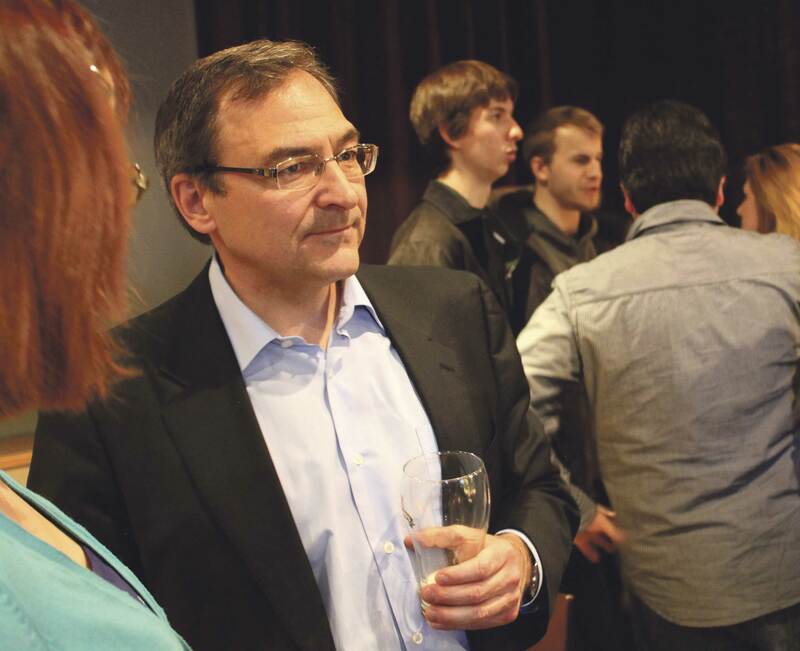 Martin Cauchon speaks to students at Wilf’s Wednesday evening (Photo by Dana Silvestri). With the election for the 2013 Liberal Party of Canada (LPC) Leadership just around the corner in early April, candidate Martin Cauchon extended his campaign to visit students and young Liberals in Waterloo. Wilfrid Laurier University hosted the meet and greet with Cauchon in Wilf’s on the evening of March 20. Jazz Clement, a director on the Wilfrid Laurier University Students’ Union board, invited Cauchon to visit Laurier after meeting him at the Ontario Liberal Convention. Federal Liberal Association and the WLU Young Liberals. “It’s not often students do get the opportunity to talk to a federal Liberal leader candidate,” she continued. Cauchon also emphasized the importance of reaching out to students. Cauchon went on to explain that in order to carry out the vision that he has for Canada, he needs the involvement of the next generation. Proulx reiterated his appreciation for Cauchon making students a priority during his campaign. The Liberal Party is currently starting a reconstruction process, and so, according to Cauchon, now is the best time to join the party. “We need you, we need your views, we need your ideas as well,” he said. As part of his message to students, Cauchon encouraged them to get involved with politics. In his words, politics is still the best way to change society.